FoodService Director has earned three nominations for the 2018 Jesse H. Neal Awards, an awards program that champions excellence among business-to-business media. 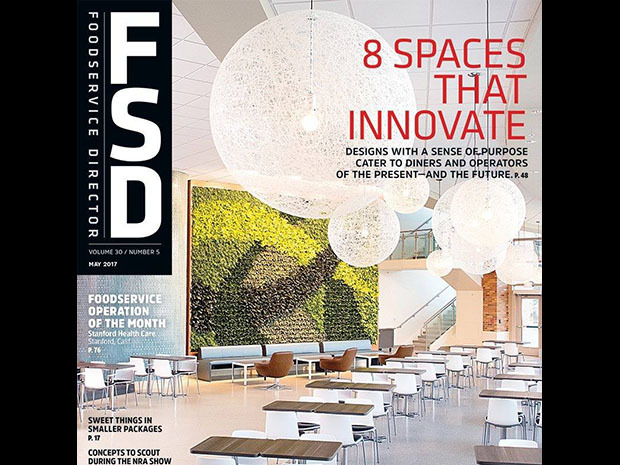 The categories in which FSD is a finalist are best overall art direction, best single issue of a magazine and best art direction for a single article or cover. FSD’s sister brand Restaurant Business was recognized as well, receiving eight finalist nominations, including best media brand, best website, best overall art direction and best range of work by a single author. Winsight brands CSP, Convenience Store Products andWinsight Grocery Business were also named as Neal Award finalists in various categories. The award winners will be announced on April 5.